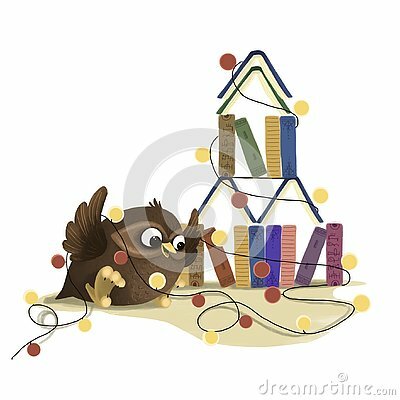 A wise owl decorates a Christmas tree with a garland of books. Book illustration. Owl with glasses and academic hat sitting on books stack. Owl on books isolated. Education concept with owl. Vector illustration. Wise owl and stack of books.